Meanwhile lets just say that we are proud Daisy Barredo contributed a whooping 30 entries. 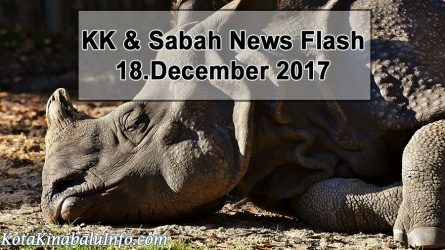 The last living Malaysian female Sumatran rhinoceros is seriously ill. Sabah wildlife are doing all they can to treat the tumor in the rhino’s uterine, which has been bleeding for three days. Read the full story here! Hotel Grandis, a recently proclaimed Blue Ribbon Awardee based in Kota Kinabalu, has plans to build a 5-star resort. Click here to read more. Heineken Malaysia has implemented the Heineken Rainwater Harvesting System project in three locations in Sabah, which will benefit villages. Read more here. ll▷ An education fund initiated by the alumni association of a university has collected RM14 million, both in cash and in kind. Click here to read more. Integrated Resort is not trending around the world because of its favorable prospects in strengthening the tourism sector of a locality. Read more here. KK Christmas Celebration Slated December 11 to 14, 2017 with the theme “God’s Love, Man’s Hope”. Click here to read more. 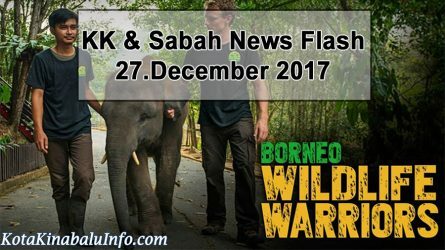 Islam is now as official religion in Sabah, Malaysia and is respected by the Christians community. Click here to read more. 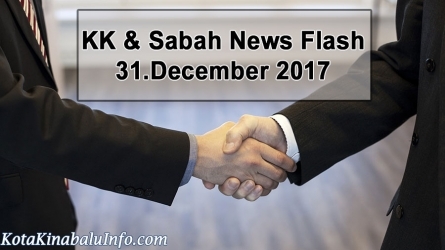 Sabah enjoys the freedom of religion that the current government is giving them. Both the Christian and Muslim community are at peace. Read more. A student from University Utara Malaysia graduates despite disability while UMS graduate reaches dream amidst tragedies. Click here to read the full story.